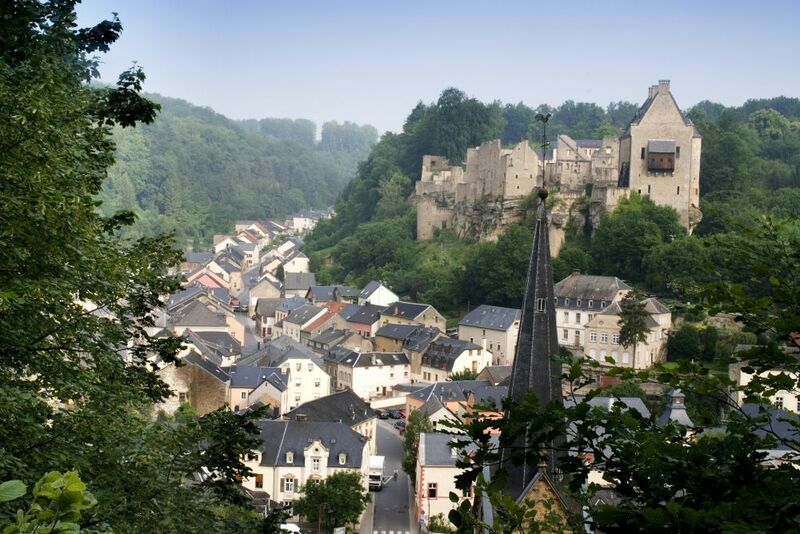 From Echternach, you ride along the Sûre, direction Wasserbillig. In Rosport, you turn right to Dickweiler and pass along higher meadows. Before Dickweiler, you turn left to Girsterklaus. 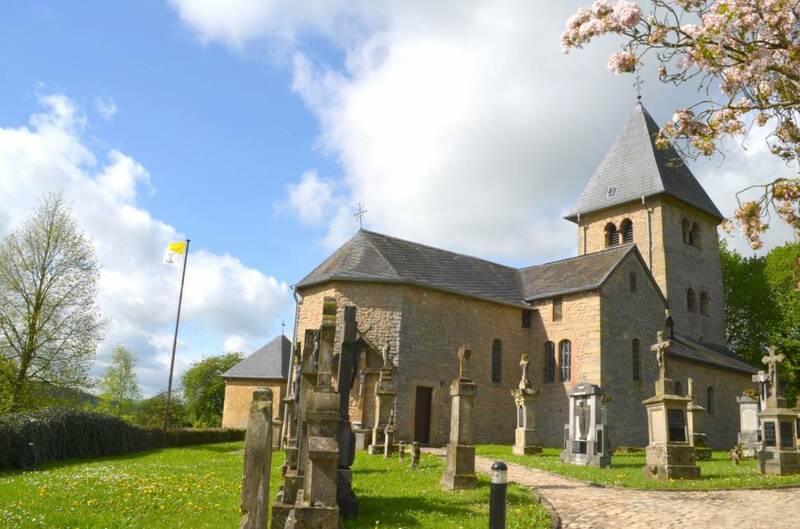 The watch tower of this lovely chapel is from the 12th century. If the church is closed, a note tells you where to get the key. Back in Dickweiler, you drive through Herborn and Bech towards Consdorf, where you turn left towards Mullerthal and immerse into the rocks. At Breidweiler-Pont, turn left through the beautiful valley of the Ernz Noire towards Junglinster. After almost 1 km, you see the wooden pier and the travertine source on your left. You can leave your car at the end of the pier. After Reilandermillen, you turn right up to Reuland where plateaus with meadows, fields and beautiful views dominate the landscape. 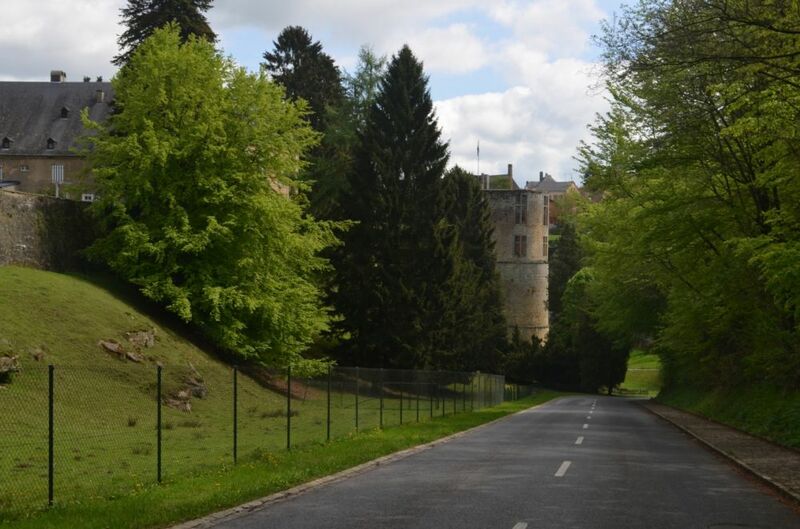 Continue straight ahead to Heffingen and then Larochette, where a trip to the 11th century castle is recommended. 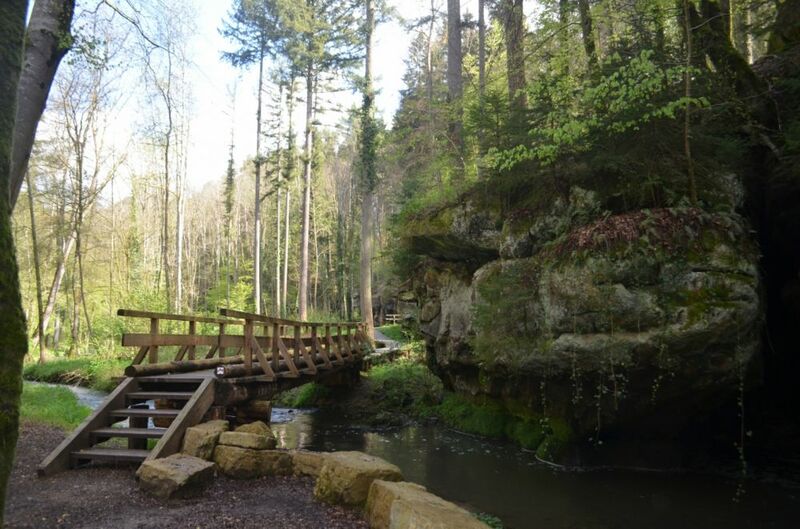 Continue via Medernach, Suevelbuer, Christnach and Waldbillig to Müllerthal, were you should visit the romantic waterfall Schiessentümpel (Parking: Heringer Millen, 1 Rue des Moulins, 6245 Mullerthal). 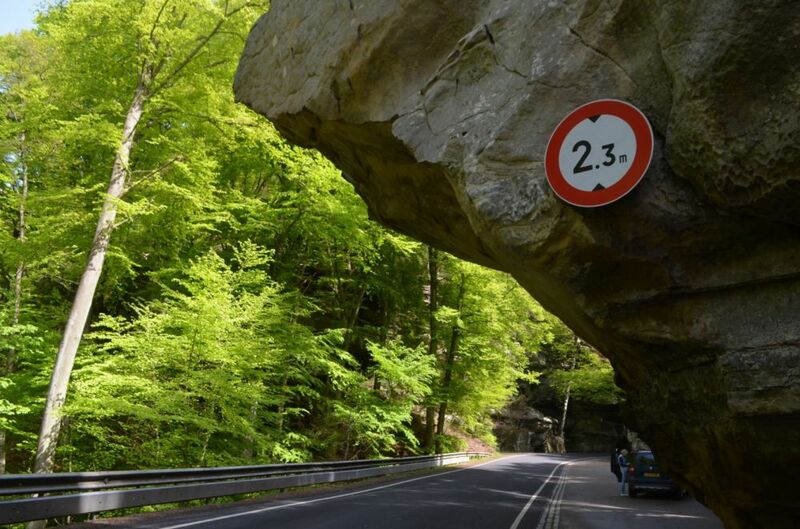 Make a turn and through the Valley of the Black Ernz drive to Grundhof. Along the Sûre you drive back to Echternach via Bollendorf-Pont.